Play to this classic sport in a different way and through your iPhone, Android smartphone, Tablet, iPad or computer. Try our soccer games and have fun kicking the ball without going out of your place. 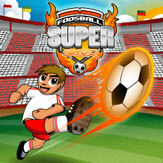 We have captured the spirit of the world’s most famous sport in simple, fun and entertaining online html5 games. These browser soccer games are suited for old and young people, everybody can play and spend a good time. Mostly because you can play for free! Moreover, as they are online games, there are no downloads or even installations required in order to play. You just have to choose and click the game you want to play and start shooting goals. 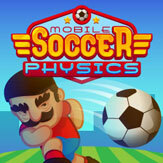 Show us your great soccer skills, challenge your friends and become the new best soccer player in the world!